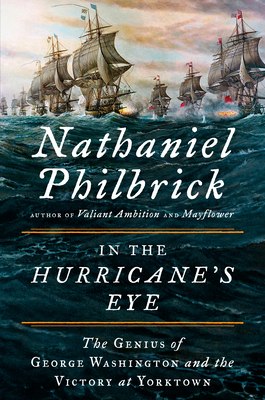 In the Hurricane's Eye: The Genius of George Washington and the Victory at Yorktown (The American Revolution Series #3) (Hardcover) | Fountain Bookstore, Inc.
Nathaniel Philbrick is one of my favorite historians today, with his ability to dig up little known history and create a tense and exciting narrative. In his newest work, he follows the year leading up to Washington's victory at Yorktown, VA in 1781 that essentially ended the American Revolution. The version that is often taught is mostly wrong, and it was a naval battle fought off the VA coast that didn't include a single American that guaranteed success. Washington knew he needed French naval power to defeat the British, but two years of fruitless correspondence left him frustrated. The stars really had to align for all of this to happen, and Philbrick shows that we owe our independence not only to the French navy, but to many other individuals (mostly non-Americans) and factors (the weather, luck) that we don't even realize.